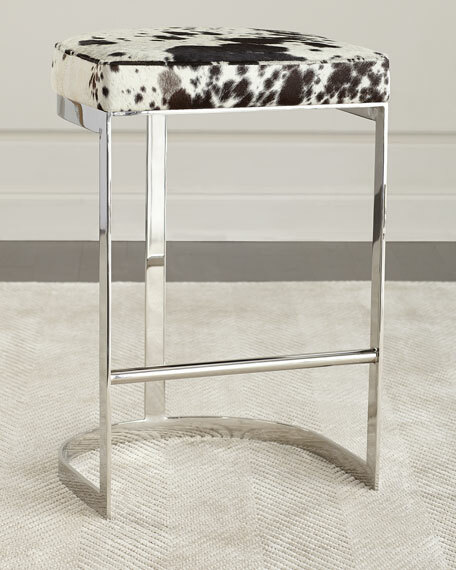 Black and white pattern play on this hair-on-hide barstool contrasts beautifully with the modern polished nickel legs. 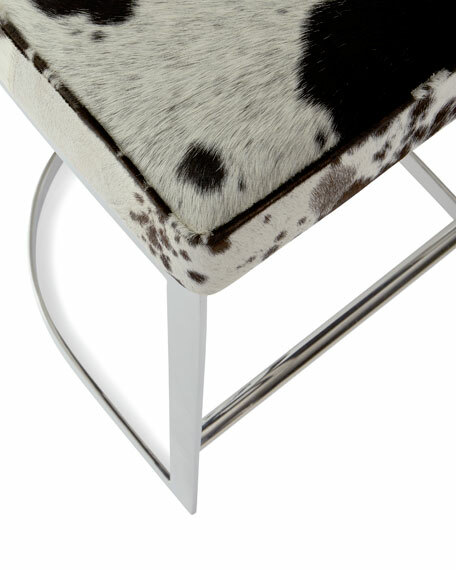 The sleek profile makes these perfect for tucking under a bar. 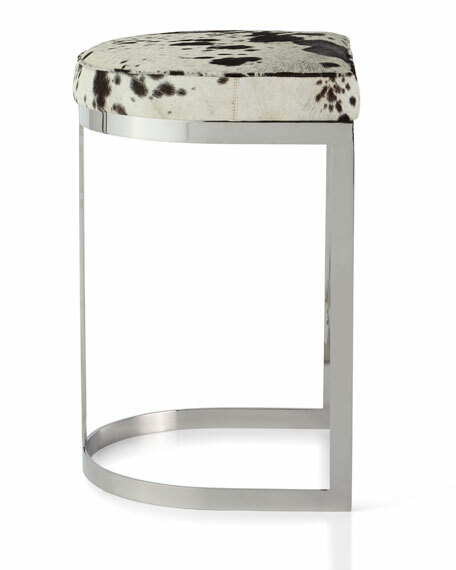 Bar stool with hairhide (India) seat upholstery. Please note hide will vary. 20"W x 19"D x 31"T.
Boxed weight, approximately 34 lbs. "Everything starts with the product and it must be unique." That is the philosophy of home accents expert Mark Moussa who started Arteriors almost 25 years ago after having grown up working in his father's import business. 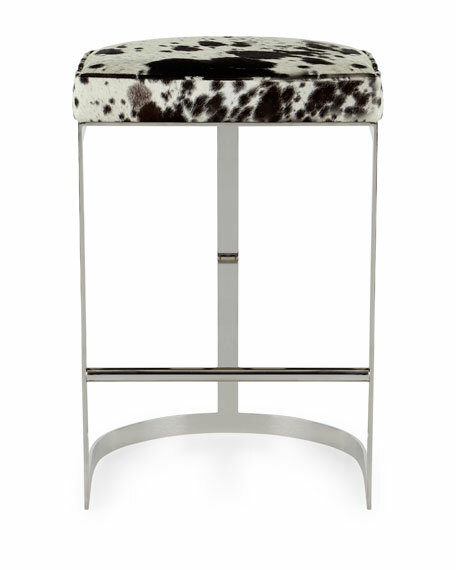 Due to a close collaboration between the Arteriors design team and manufacturers around the world, today Arteriors is an award-winning leader in home design and one of our best resources for unique accessories, furniture, and lighting. Merging timeless appeal and the latest trends, Arteriors never fails in creating exceptional home accents that complete each room perfectly.